Get to know PDC members and community supporters for a casual dinner and conversation. 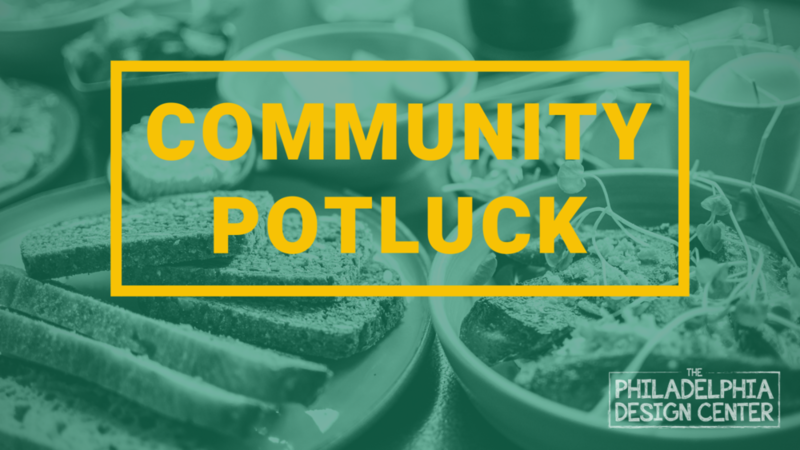 This meal is potluck-style, which means everyone is encouraged to bring a dish and/or beverage to contribute to a shared feast to be enjoyed by all. bring a dish to contribute to a larger shared feast enjoyed by all. This is the first in a series of regular Community Potlucks. Each meal will have a general theme to guide open discussion. This month, we are exploring the values and mission of our individual creative practices and our larger design community. All are welcome to attend! This meal is for past and current members, anyone who is invested in the future of the Center and those who are curious to learn more! Please sign up on the slip of paper near the coffee machine to share what you plan on bringing. If you have any questions, please contact Loretta at lgary@phillydesigncenter.org.